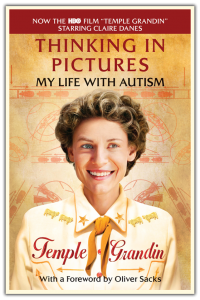 On Sunday morning, prior to Temple Grandin’s informative and inspiring presentation at the ALA Annual Conference, I was lucky enough to interview her. 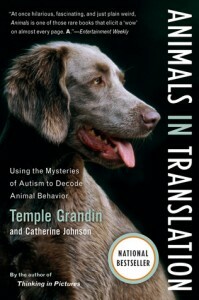 Temple Grandin has a PhD in animal science from the University of Illinois and is a professor at Colorado State University. She was diagnosed with autism at age 2 in 1949 and is now, in addition to her other professional accomplishments, one of the world’s most influential and inspirational advocates for people with autism. I was equally terrified and honored to be afforded this opportunity. I polled friends, family, and colleagues about what I should ask. I agonized about whether I’d be tongue-tied and how the interview would go. The interview was great. 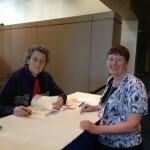 Dr.Grandin was welcoming, friendly, honest, enthusiastic, and very open. The following are excerpts from our conversation. 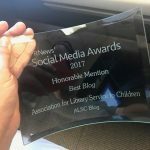 Is there anything that you believe libraries should be offering or doing to help autistic children? Well, one thing is that — for people of low-income — libraries are the only way they are going to get books. For example Thinking in Pictures is a fifteen dollar book. Many people can’t afford a fifteen dollar book; they need to wait until it comes into the library. Lots of people don’t realize that for low-income people, that’s the only way they can get books. Or internet access! I’ve seen libraries doing some really good things as I’ve traveled around. 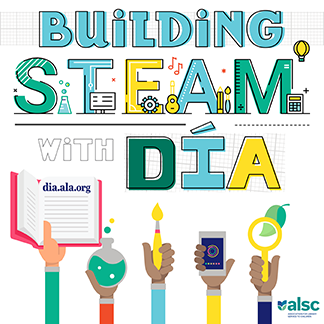 Some libraries are now doing science projects and things with 3-D printers to get kids interested in reading. I’m concerned about the younger generation not reading for pleasure. That’s something that’s dropped; the percentage of young people reading books for pleasure is lower than us older generation reading books for pleasure. 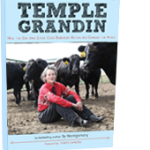 Sy Montgomery has written a children’s book about me called Temple Grandin by Sy Montgomery. I’ve had a lot of kids write to me that the movie and the book have motivated them to do stuff. One of the things I wanted to emphasize in the book was my drawings and the things that drove me to work stuff. I am seeing too many kids that get a label and they are not getting employed after they get out of school because they never learned any work skills. So how could we help with that? How could librarians help them get work skills? There are some of these kids who are really kind of academic and just doing some job in the library would be a good thing. Kids need the discipline of doing a job. It could be walking a dog, it could be cleaning swimming pools, it could be buying groceries for an older person, or it could be helping out at the library doing things like helping the little kids. I’m seeing too many kids get a label like autism, dyslexia, ADHD. The real mild kids are graduating from high school and haven’t learned a single work skill. They need discipline. They need to walk Mrs. Jones’ dog at 6 am every day in the morning even if it is raining or (learn to) deliver those papers and not throw them in the bushes. That’s the discipline of having a job. Too many smart kids get a label and they aren’t learning basic skills. How about working with preschool kids who are autistic? Do you think libraries should be offering special storytimes or programming? Should we offer a separate storyime just for people on the autism spectrum? No, no, it ought to be everyone together. See the thing with autism is that when a kid is three years old they all look the same. And then you work with them and they go into groups; some may remain nonverbal, some may not be able to sit still at storytime and then you have other kids that sitting still is something that they need to learn how to do. How about the environment of libraries? Lots of places are renovating their libraries now. Are there any types of environmental concerns we should think about? There are some individuals that fluorescent lights drive them crazy; the way they flicker all the time. Eliminating 60-cycle fluorescent lights; that’s the one thing I would do. The other thing is — well look at this carpet (pointing to the multipatterned carpet lining the floor in the Convention Center). They make this carpet all full of patterns so if you spill coffee on it, it doesn’t show. Now this one isn’t too bad, but you wouldn’t want like a black and white checker board carpet or something like that. But other than avoiding super contrasty stuff, the biggest concern is fluorescent lights. There is probably five per cent of the total population who can see the flicker of 60-cycle fluorescent lights and it just drives them crazy. And I had a dyslexic student, definitely not autistic, but dyslexic student who had this problem. She just got spaced out when she was under fluorescent lights. I know they are energy saving, I’m fully aware of that. But the one thing to do architecturally, that would be it. 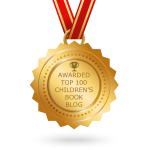 You are a very prolific writer, is there a book you are most proud of having written? Well, Thinking in Pictures I did not have a co-author on. Everything I wrote, I did myself. My editor had a heck of a time on organization. I’m a visual thinker; I’m not that good at organization. I’ve had people say to me that they like the other books better because they flow better. But you see, this is where I say we need different kinds of minds to work together on things. The visual thinker is really good at design, but not that good at organization. Co-authors add organization and structure. Like when I did Animals in Translation, I always like to say that Catherine Johnson built the tree, a Christmas tree — I always like to use visual analogies — but then I put lots of ornaments on. I put them on in such a way that I didn’t wreck the structure. When did you realize that you thought in pictures and not everybody did that? Well you see it was a gradual realizing to some extent just how different my thinking is. I used to think everybody thought in pictures. I didn’t know that people thought differently. I remember asking some speech therapists to think about church steeples; how does it come into their minds. I was shocked to find out that they got this vague generalized image. I only see specific ones. I just started questioning people more and more about how they think and then I found out that there were people that thought more in patterns, more mathematical thinking. So then I came up with the three kinds of thinking: the photorealistic visual thinker like me, terrible at algebra; a more mathematical mind, this is the kid that has trouble with reading; and then the word thinker. And then when I did The Autistic Brain book, the thing that makes me really happy is that I found scientific research that absolutely verifies that there are two kinds of visual thinkers. There’s the photo-realistic object thinker like me and then the more mathematical mind and they actually use different parts of the brain. I was so pleased to find that because everybody is so into evidence-based these days. So now I have evidence. If there was one thing you would want people to know about autism, what would it be? Autistic kids don’t like a sudden change in routine without warning. For example if you were doing storytime at 5:00 in the afternoon on Tuesdays and now all of a sudden you change it to Saturday, it’s better to warn them. Tell them it’s going to change. In other words, don’t have a surprise when you are going to change something, or you’re going to remodel the room or something. And of course if it’s a five year old, they don’t know what “remodel” is, so tell them people are going to come in and paint the walls a different color or something so it’s not a surprise. You want to encourage autistic kids to do things. One of the best activities to do with young autistic kids is board games. Teaching them turn-taking is one of the most important things you can do. And they’ve got to sit there at the board game and wait their turn and teach them how to wait their turn. And if they start to go out of turn, the teacher can say “You need to wait for Tommy to take his turn” and teach them how to take his turn. They talk all about executive function these days, well one of the things you need to do for executive function is you have to learn to inhibit a response and wait your turn. And if you have an activity, for example, where different kids read out of a book, then they need to wait their turn. Teaching them how to wait and how to take their turn is a really important thing to teach young kids — with any kind of a label. I was taught turn-taking with a Parcheesi board. I can remember starting to want to shake it before my sister had done her turn and my mother would say “You have to wait your turn.” That’s a really important thing and some kids need to be taught that. Some little kids in the library could be taught to take turns doing an activity. It’s a really simple activity and it means a lot. What do you think of the whole labeling issue? I’m worried about the expansion of labeling. Actually, the autism labeling has narrowed somewhat, but the ADHD label is being expanded… So I don’t know how many more kids are going to be put on stimulants when they’re young when maybe they should just go outside and as mother says “run the energy out of you.” I get worried about kids becoming their label, especially on the milder end of the spectrum. I’ve got nine year olds walk up to me and all they want to do is tell me about their autism. Well, I’d rather hear about the book they’re reading or their science project or they have a dog they play with or something. Autism is an important part of who I am and I don’t want to change and lose my logical way of thinking. On the other hand, I put being a college professor first or autism would totally take over my life if I let it. Do you ever speak to groups of kids? Yes I have. I put a lot of emphasis on — I worked with Sy Montgomery on this — on showing work stuff; the drawings and things like that. Kids who are kind of different will get socialization through shared interests. Right now they have MakerBot groups where a bunch of kids get together and they do stuff on SketchUp; draw 3D drawings on computers and then get to make it on a 3D printer and those are zones where there’s no teasing because everyone is interested in 3D printing. There are two ways of dealing with bullying. First of all you need to take the so-called normal kids and explain to them why they shouldn’t be bullying. What was done when I was in elementary school was that a teacher explained to the other children that I had a handicap, but it wasn’t physical like a wheelchair, and that they would have to help me with social skills, not be bullying me. The other thing is getting kids involved with shared interests. Nobody bullied me at horseback riding or electronics lab. Shared interest things. So they come into the library and they are all working on 3D printers or they’re all working on some other thing like SketchUp, for example. And the kids that are interested in that are not going to be doing the bullying. But another problem is today, someone will be texting them and writing something terrible. I think parents and teachers need to get a lot more control over what some of these kids are doing on the internet. Little Tommy is writing bad stuff on somebody else’s Facebook page, well that means that Little Tommy needs to have his Facebook account cancelled. Parents need to find out what their kids are doing on the Internet. I’ve had parents say they take the video game away and the kid throws a fit. Well, I would put them in their room and let them throw a fit, then. I don’t recommend banning video games, but they need to be limited. I know one dad who just took the computer router and locked it in the trunk of his car. And then my interview time was up. 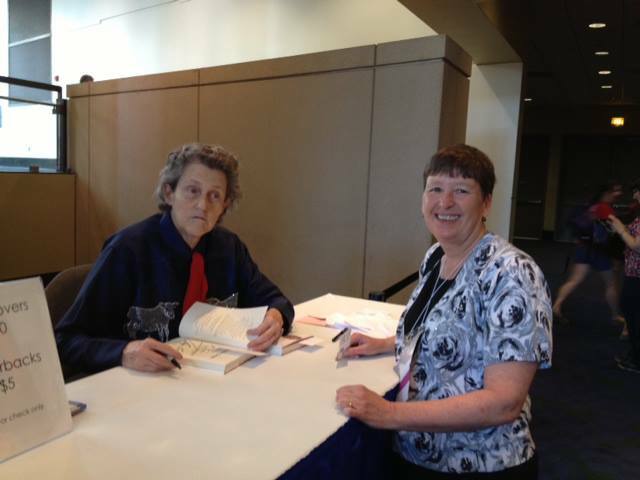 I can’t believe the time I spent speaking with Dr. Grandin went by so quickly! I left the interview room invigorated and inspired. Wow! What a fantastic post, Mary. It’s an ever-changing landscape; you brought out some good information. A great interview. Would love to have heard more. Very cool, Mary. What an experience! And what a fascinating interview – thanks for sharing! Awesome interview, Mary! I’d love to read more of it! Nice job, Mary! Thanks so much for this…you covered things that she talked about in her presentation, and I wish I had a transcript of that. So much good info! Dianna, Laura, Sam, Jessie & Deb -> Thanks so much for your kind comments. The interview was a great experience; I wish EVERYONE could have an opportunity like this! 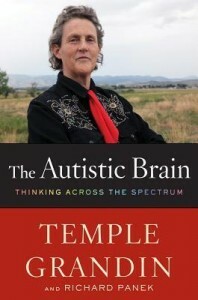 Temple Grandin is so purposeful and strong. Thanks so much for this interview — it makes me want to read all of her books — and to be purposeful and strong. What a great interview, Mary! Thanks, Miriam. I’m glad you are able to glean programming ideas and insights from this post! Mary, this post is fantastic! What a great interview–so many things to learn! Thank you so much for sharing this with all of us. What an amazing opportunity! Thanks, Renee. It was a powerful experience to speak with Dr. Grandin.